Following complaints to the Electoral Officer overseeing the Auckland Energy Consumer Trust election the right-wing C&R ticket have refused to remove or modify misleading electoral signage. In August 2015 Trust beneficiaries (people on the power account in the AECT district) received a dividend of $345 from the Trust. 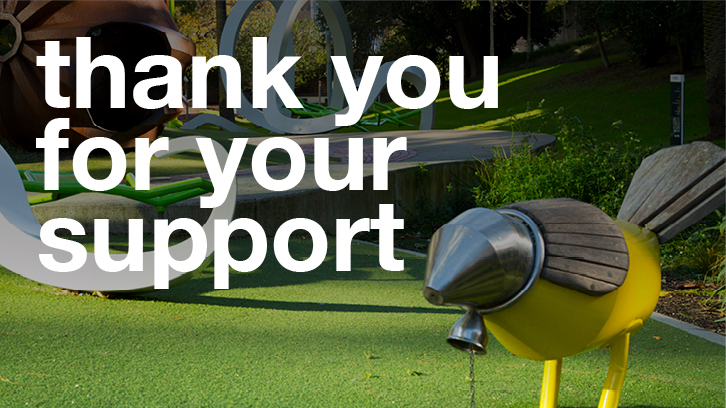 The AECT dividend is a direct result of the Trust’s 75.4% shareholding in Vector. “I’ve written to Earl White, C&R Campaign Chair requesting the removal or modification of the slashes. I am disappointed but not surprised that C&R have responded refusing to take action and are ignoring the electoral officer’s guidance on the matter”. The AECT election is conducted under its own Deed of Trust. Under the Deed of Trust the returning officer is responsible for conducting the election and to the extent that the Deed of Trust Rules do not prescribe a particular matter, the returning officer is entitled to determine the procedure accordingly. The AECT candidate booklet states that “the Local Electoral Act 2001 is adopted for the purposes of this election. No candidate should act in a way which would amount to an offence if the election were being held under that Act”. (a) gives, lends, agrees to give or lend, offers, promises, or promises to obtain any money or valuable consideration to or for any elector, or to or for any person on behalf of any elector, or to or for any other person, in order to induce any elector to vote or refrain from voting. 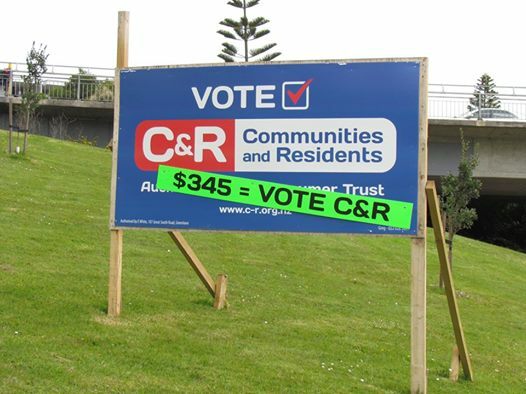 The Electoral Officer, Mr Dale Ofsoske has advised, following a complaint from City Vision Councillor Cathy Casey, that he considers the statement on the slash placed on C & R billboards – “$345 = Vote C & R” (refer attached photo) does not give any text to the $345 figure and in particular does not state what that payment is for or when it would be paid. It could be misinterpreted, especially by electors who are unfamiliar with the dividend issue. Mr Ofsoske has confirmed he has written to C&R in relation to the slash statement.